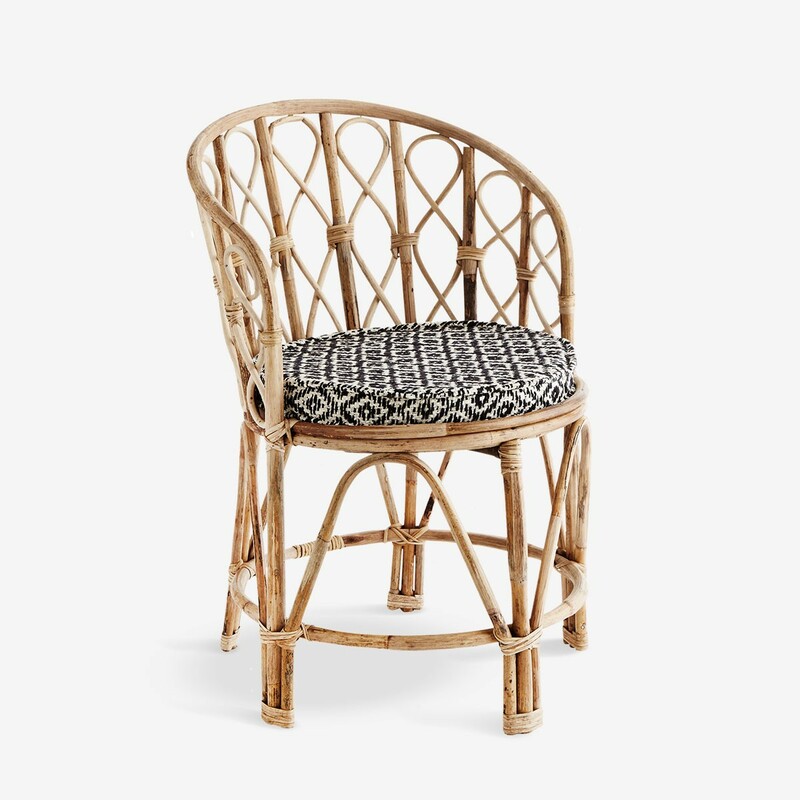 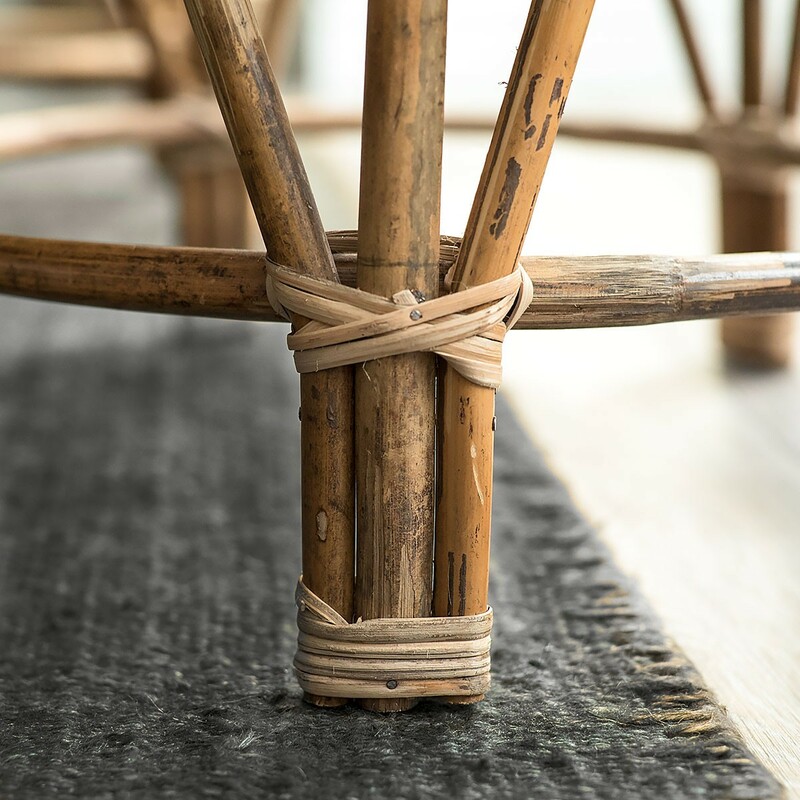 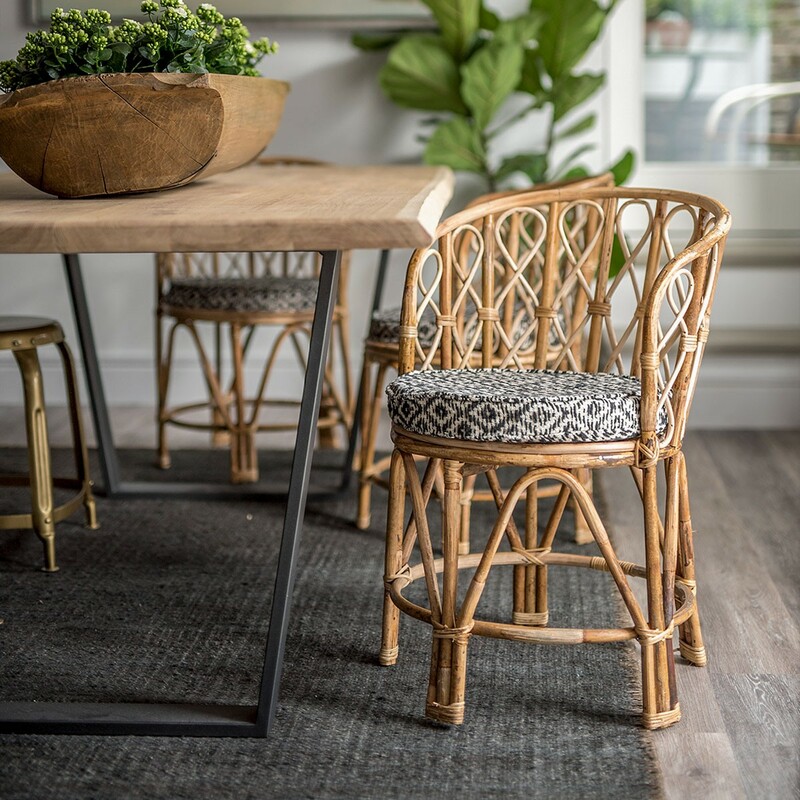 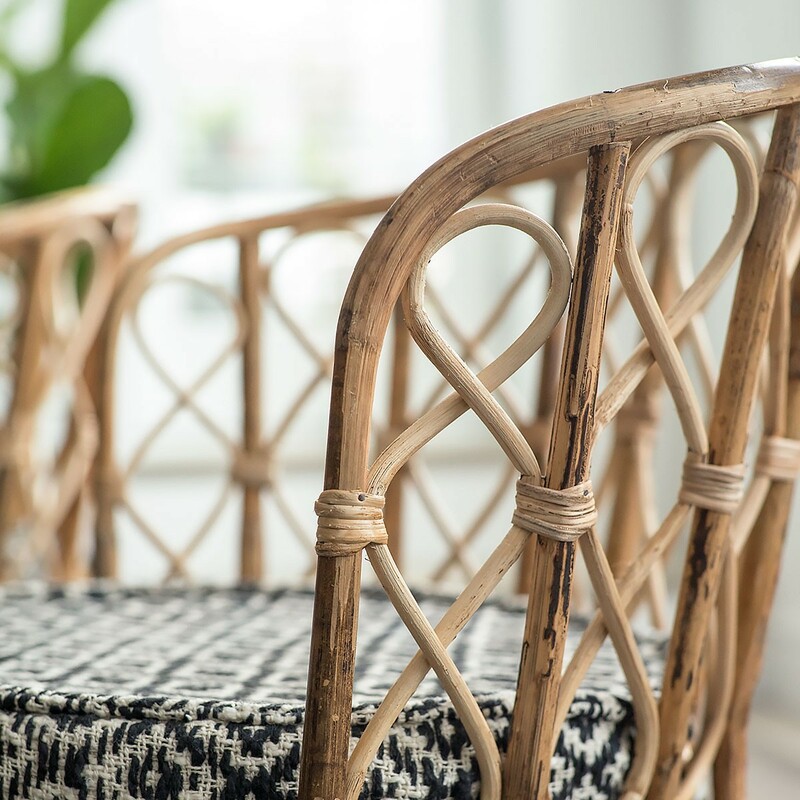 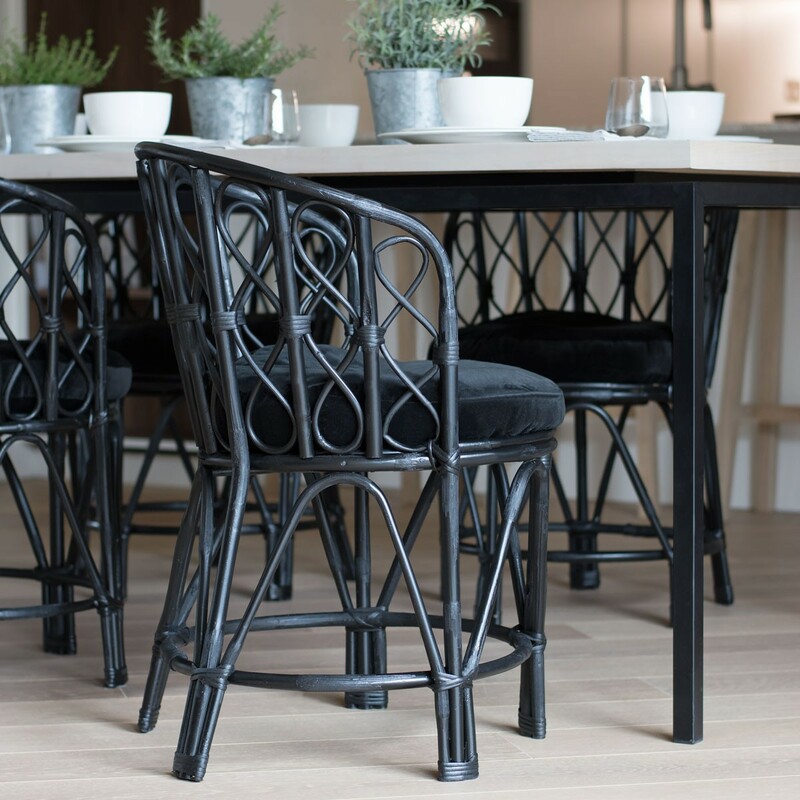 Add an eclectic element to any room with this bamboo chair available in two finishes. 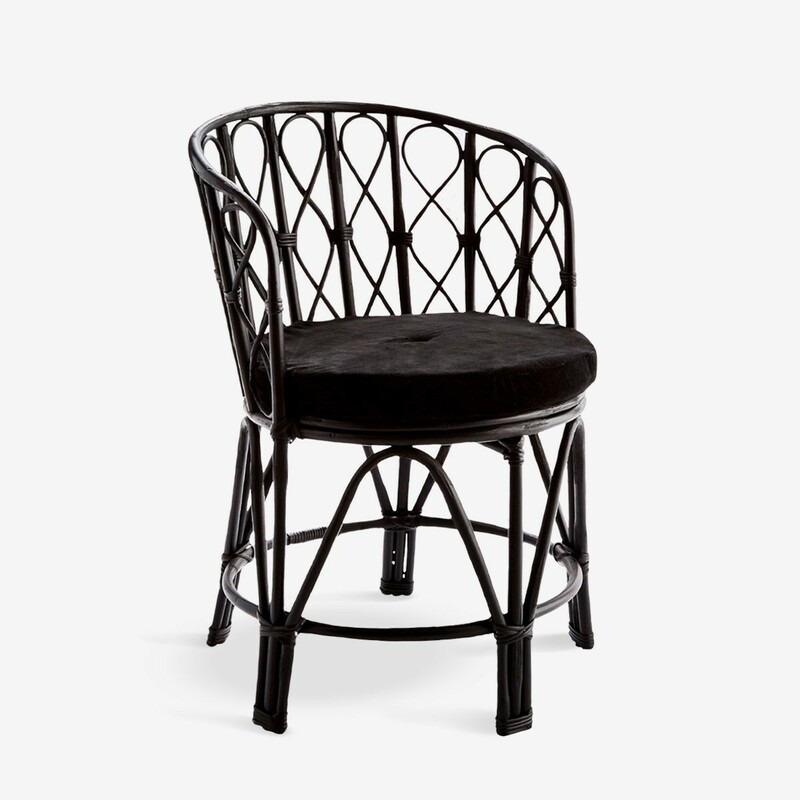 We love its unique curved shape and natural finish. 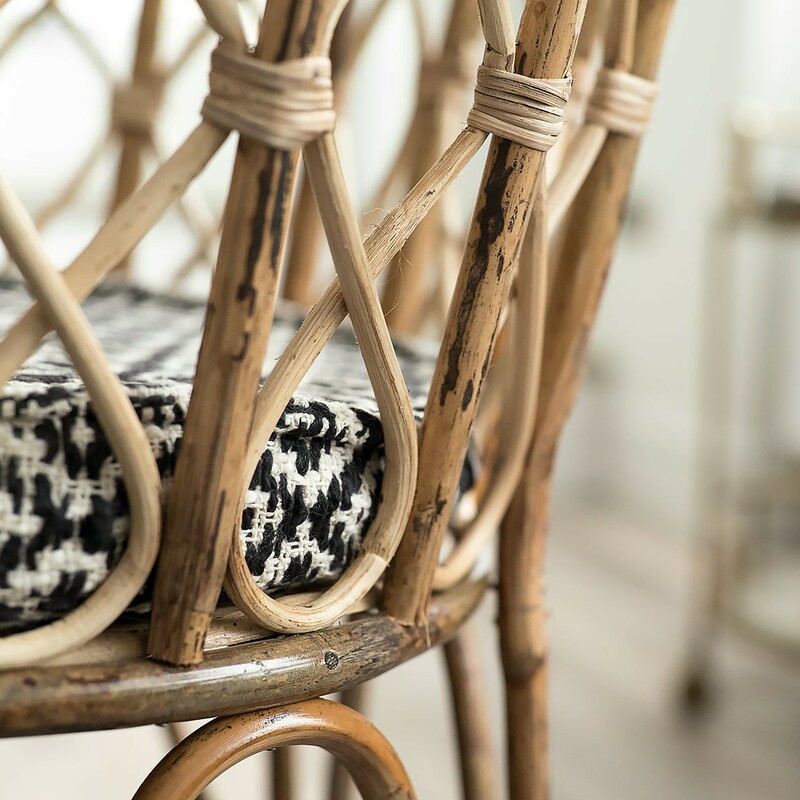 The textured cushion creates a comfy place to sit around a dining table or at a desk.